Which Wedding Transport Is Best Suited To Your Theme? I am sure that you will agree that wedding transport plays a big part on your special day and can bring everything together, not only functional but beautiful. A classic vehicle will always make a great impression and always looks great in wedding photographs. You will therefore want to make sure that it fits in with the theme of the wedding for maximum impact. A classic does not necessarily mean old, whether you are a traditionalist or trendsetter we have some fantastic suggestions. Consider these motoring classics to suit your theme from BookAclassic and arrive in style. For a beautiful traditional car the Silver Cloud is a stand out choice, the styling and elite luxury feel complement the theme perfectly. Perfectly in keeping with the theme this is a more ornate choice with which you will be tapping into a rich history of British motoring. Sure to be appreciated by everyone. This theme is often characterised by shabby chic furnishings, think weathered wood and classic roses. It is also an opportunity to pick some of the quirkier vehicles in this selection. A really popular choice with wedding couples in 2018, we expect this year to be no different. The classic styling proves a hit and you can even take the wedding party with you. An iconic option which always looks stunning especially in classic racing green. Really fits well in a classic British theme and will always look sleek and stylish. Picking a modern vehicle opens up a whole other world of possibilities and we have seen a sharp rise in the trend of American vehicles. The quintessential American roadster will bring its roar to the English countryside and really shake things up a bit. The Mustang fits the bill perfectly. The final pick on the list and certainly the most luxurious, guaranteed to make the right impression. Whichever vehicle you choose your pick will add to the excitement of the big day, it will no doubt be a popular backdrop to photos throughout the day so be sure that it fits with your style. Finally, decide on whether you would like a chauffeur or to drive yourself and enjoy your day! BookAclassic is the UK’s preferred classic car hire site for weddings, with the most extensive offering of iconic and classic vehicles both in the UK and worldwide. 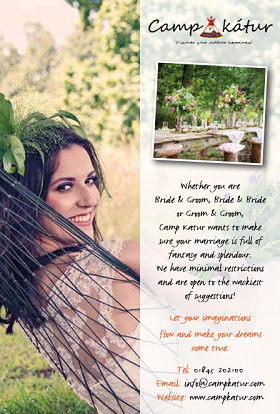 The choices are almost endless and can cater for whatever style of wedding you decide. We are sure you will find the vehicle of your dreams on our platform and you could be booked in a matter of minutes with a few simple clicks. Having recently received the silver certificate of excellence from Bridebook, you can rest assured that you will get the 5 star treatment. You can find us on Twitter, Instagram and Facebook.